ADT is a well-known name, partly because Ving Rhames is the face of the home alarm system company, but also because the company has been in business for over 140 years. ADT is about to change the way they do business, as they’ve been bought by Apollo Global Management for a whopping $7 billion. The announcement came on February 16, 2016 after the private equity firm Apollo Global Management paid $42 per share for ADT, which resulted in a 56% higher cost than ADT’s closing price the Friday before. 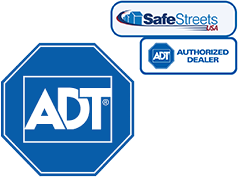 The new acquisition of ADT should make things interesting for Apollo Global Management because it’s expected that the popular home security company will merge with Protection 1, another home security company that Apollo owns. Although this may sound less than ideal, the buyout may be just what ADT needs. Its stock has been down 30% over the past year, and sales last quarter came in below predicted forecasts. Even if ADT remains a market leader, the industry is diluted, with many other options available that were not available in the past. This includes other popular names like Vivint and Nest, which is owned by Google. Hopefully, it will be business as usual for ADT, even after the acquisition. Because the ADT name has been trusted for over a century, Apollo plans to continue using it. We’re also holding out hope that Ving Rhames continues to be the spokesman for this well-known home alarm system company.